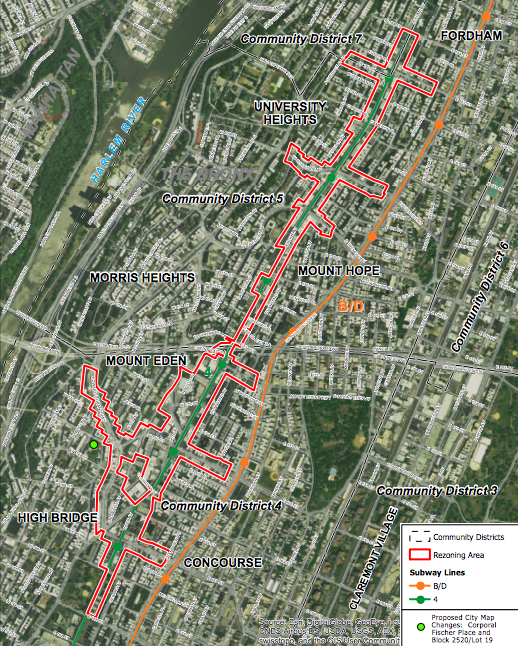 After scoring a win for his affordable housing policy with rezoning of East New York, Mayor de Blasio is setting his sights on the Bronx’s Jerome Avenue. 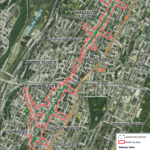 The Department of City Planning (DCP) released preliminary documents that outline plans to rezone a 73-block area of the southwest Bronx. 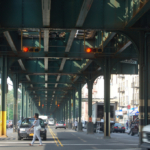 The Special Jerome Avenue District is centered on its namesake street, the area’s bustling commercial spine that teems with mom-and-pop auto body shops beneath the steel canopy of the 4 train. The rezoning would allow for large mixed-use residential buildings on the avenue, which is now zoned C8-3, M1-2, C4- 4, R7-1, R8 C-83, commercial designations that includes hotels, office space, and industrial uses like warehouses and auto shops. The entire area would be rezoned R7, R8, R9 (high-density residential); C4-4D (a medium-density commercial district with an R8A equivalent that can have 7.2 FAR in areas zoned for Mandatory Inclusionary Housing (MIH); and topped off with C2-4 commercial overlays. The rezoning would indeed apply MIH, part of the mayor’s plan to guarantee affordable housing as a condition of market-rate residential development, to almost all of the new district. Near the district’s southern boundary, around McClellan Avenue, towers could rise up to 145 feet, YIMBY reports. At Tremont and Burnside avenues, around the northern end of the district, new buildings could be up to 120 feet tall; near West 170th street and all along Jerome, buildings could be 80 to 100 feet in height. The height increases are tied to setbacks that should allow light and air onto Jerome, which can grow forebodingly dark at night because of the elevated train. 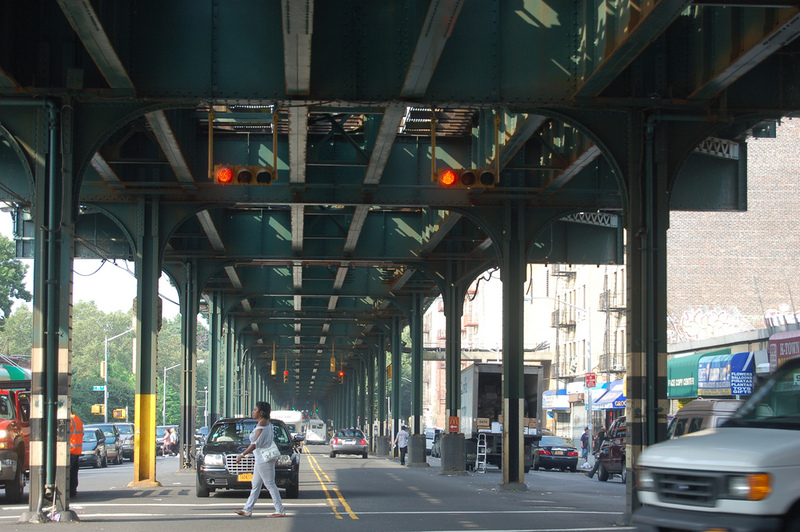 (Perhaps the city will crib from the Design Trust for Public Space’s Under the Elevated, a project to revitalize 700 miles of public space that lies beneath elevated infrastructure.) The rezoning also includes promises to enhance parks and public spaces in the neighborhoods. In all, the DCP estimates that the rezoning will allow 72,273 square feet of community space, 35,575 square feet of commercial or retail space, and 3,250 new apartments. When the rezoning was proposed back in March 2015, residents worried it would be the doomsday toll for the auto shops, which offer skilled, good-paying jobs to a largely Latino workforce. The community’s concerns are justified: The DCP estimates that 47,795 square feet of industrial space and 98,002 square feet of shop space will be eliminated. As a result, over 100 jobs will be lost. New residents would be more affluent than current ones, as measured by their expected average incomes. The city promises to do another study to analyze the impending displacement of auto shops, although there’s no word on whether there will be an analogous study on the possibility of residential displacement. 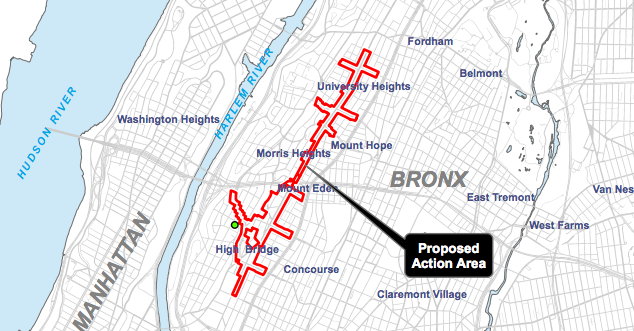 There’s plenty of time to deliberate, protest, and offer feedback on the Special Jerome Avenue District plan, though. 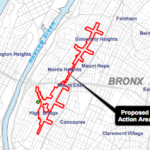 It must pass through the lengthy public approvals process, which includes meetings with community boards, the borough president’s office, the City Planning Commission, and finally the City Council. The first public meeting, where DCP officials will be on hand to answer questions from the public, is scheduled for September 29 at the (Stanford White–designed) Gould Memorial Library Auditorium at Bronx Community College.